Many parents of troubled boys from Tennessee who are looking for residential treatment centers for their sons have found success with Liahona Academy. Located in a small town ins Southern Utah, teens are able to escape whatever issues at home or school that are causing the trouble they’re going through. 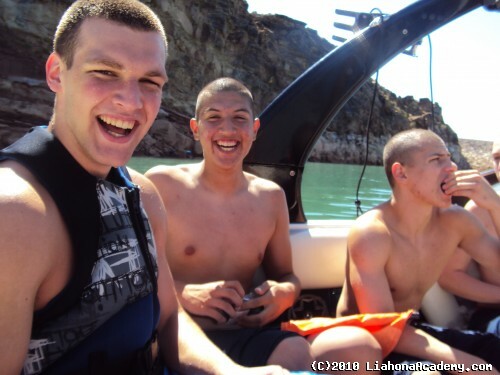 At Liahona Academy, our perfect combination of an excellent academic program, effective therapy, and recreation activities contribute to healing and reform, whatever the issues our students have. Liahona Academy helps boys who are struggling with behavioral or mental health issues. We have helped numerous young men in the past, and we can help your son, so call us today at 1-800-675-8101. One of the most important cornerstones of the Liahona Academy approach is the usage of recreational and physical activities. In many cases, too much idle time is what contributed to the issues and bad behavior that are the reasons parents send their children here. Boredom can cause trouble, especially in boys. This is why our program incorporates things like basketball, swimming, football, weightlifting, and many others. We also plan field trips into the community, which include hiking, community service projects, bowling, and various other activities. At Liahona Academy, we believe that this helps our students bond and learn teamwork. It has also been shown that physical activity often contributes to success in the classroom by giving students here a newfound ability to focus and work hard. The program is more successful because we opt to put such a large focus on fitness and being physical. When this is combined with our impressive, rigorous academics and the different forms of therapy employed here, young men leave with better, healthier attitudes and behavior. Liahona Academy can be the right residential treatment center for your son from Tennessee. Our unique focus on fitness and activity combined with the unique “team therapy” used here are what truly sets us apart from other therapeutic programs. If you are interested in seeing how your child can change for the better, call Liahona Academy today for more information at 1-800-675-8101.